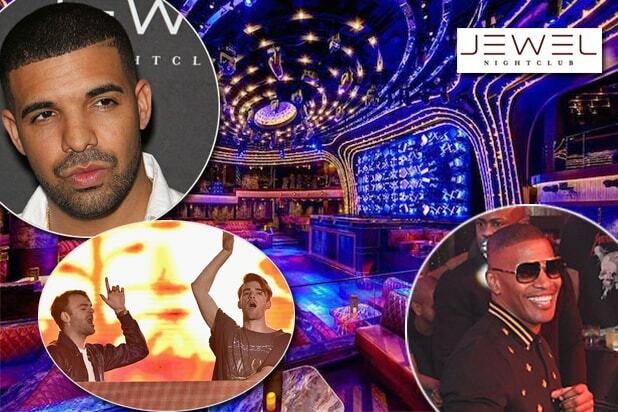 Drake raps the now-famous underdog anthem: “Started from the bottom, now we’re here.” But Jewel, the brand-new Las Vegas nightclub where he took to the stage early Saturday, is starting at the top. “I’ll stay on this stage as long as you want me,” Drake said to Jewel’s virgin weekend crowd, before launching into a 10- song set. Oscar winner Jamie Foxx was first to break in the leather at the 1,900-guest space on its first night of business on Thursday night. 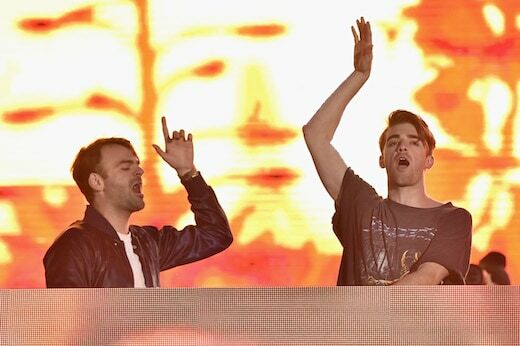 Drake, surging EDM duo The Chainsmokers (above) and Lil Jon rounded out its first nights. 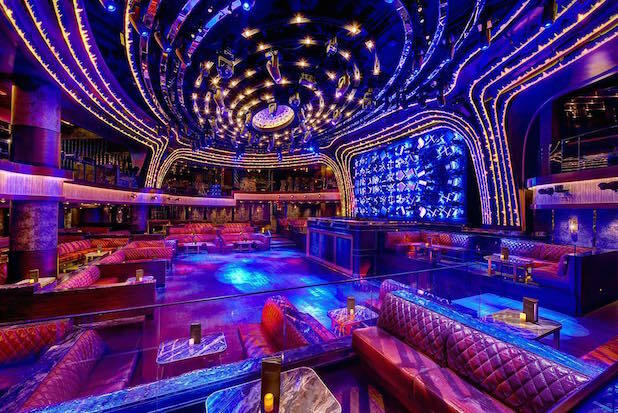 Here’s what else you need to know about the new hybrid intimate and big-room space from the creators of Strip behemoths Hakkasan and Omnia. “There’s my two songs,” Drake kidded after playing hits “Energy” and “Know Yourself,” in quick succession, insinuating that technically and/or contractually, he could now leave. Drake looked at home with a drink in hand, directing the lighting techs personally, changing songs on the fly and continuing with “Jumpman” and “Pop Style.” He also danced along to Rihanna‘s “Work”. “I’m going to leave and have a drink. I might get back up and do some old s—,” Drake said. Earlier in the night, he went up to Hakkasan Group President Nick McCabe’s table at Herringbone to greet him on the way to his own corner. 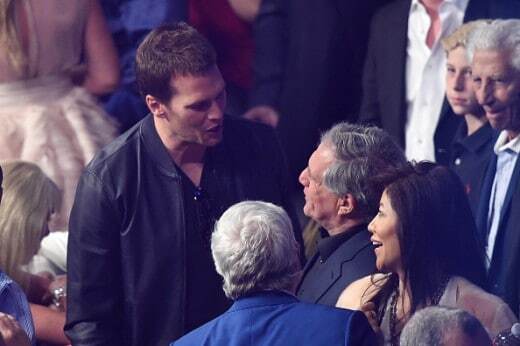 GQ was ready to bronze up Tom Brady as Man of the Millenium when the supermodel-marrying QB flew from the Kentucky Derby to the Mayweather-Pacquiao in a matter of hours last May. Surging DJ duo The Chainsmokers are slated to exceed the Super Bowl champ’s gameplan by actually working in two locations, going from one “jewel” to another. Alex Pall and Andrew Taggart (“Don’t Let Me Down”, “Roses”) were set to start Saturday playing the “middle jewel” of horse racing’s triple crown at the Preakness Stakes in Baltimore, then deploy to Jewel to play later in the night. Their high-energy sets at Coachella last month drew 40,000 fans to the corner of the Polo fields on consecutive Sunday nights. The Chainsmokers’ personal after-movie racked up more than 600,000 Facebook video views in a matter of hours. At Coachella, they were the last big act to play before headliner Calvin Harris, a fellow Hakkasan and Omnia Resident. Previously, Harris was the headliner for the grand openings of both Vegas megaclubs Omnia and Hakkasan. “It’s hard to say what’s cooler about playing the opening of Jewel: the fact that they have us on a billboard a block from our homes in L.A., or the fact we somehow have reached a level where an amazing new property would ask us to participate in an honor like this,” Pall said. So why is this an honor for the Chainsmokers? Hakkasan’s Omnia opened in 2015 at Caesars and Hakkasan opened in 2013 at MGM. Jewel hits a sweet spot in the market. While a fraction of the size of its older brothers, it ticks the most important box of what a Vegas nightclub must do: deliver the “big night” experience. It has festival-level lights, kryogencis (intense cold fog cannons), sound, and an LED staircase and mirrored entrance that looks like it fell off one of Beyonce’s “Formation” tour 18-wheelers. It also offers five intimate private suites bigger than traditional skyboxes. Closed-circuit TVs broadcast the action taking place below. A signature of Hakkasan CEO Neil Moffit, the best views in the club are reserved for General Admission guests — the line-waiting, ticket-buying folks who are traditionally reduced to wandering vodka refugees.